The finely branched leaves of H. difformis are delicate and can quickly degenerate in poor aquarium conditions. 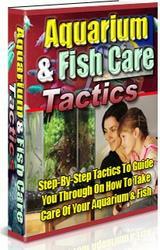 This is one of the most adaptable hygrophilas and will do well in almost any aquarium. Depending on light intensity, the leaves vary in color from green to a light pinkish brown and will grow to 6 in (15 cm) long and up to 1.6 in (4 cm) wide. The lower leaves often turn green, regardless of light conditions. In a good environment, the plant will grow rapidly and may need regular thinning. It can be used singly among foreground plants or grouped as a background plant. This is one of the most attractive hygrophila variants, but the full leaf shape and bronze-red leaf color can be achieved only if the plant is given sufficient room and strong lighting. The elongated, oval leaves will grow to 6 in (15 cm) under normal circumstances. In exceptional conditions, the leaves may grow to more than 8 in (20 cm). It is quite normal, and sometimes unavoidable, for the leaves to revert to a green form. 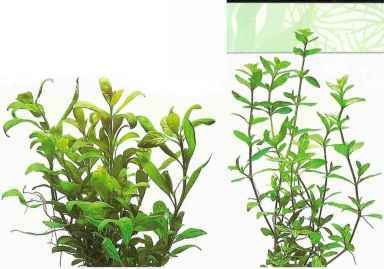 The plant has no special demands apart from good lighting, and is a good choice for any planted aquarium. Although not as commonly available as other types of hygrophila, in the right conditions this species can make a worthy addition to any planted display. As the leaves are long (up to 6 in/15 cm) and thin (0.6 in/1.5 cm), they require plenty of open space and unobstructed light. You can plant this hygrophila singly or in well-spaced groups, although this may require a larger aquarium. Not as easy to keep as other Hygrophila species, but well worth trying. 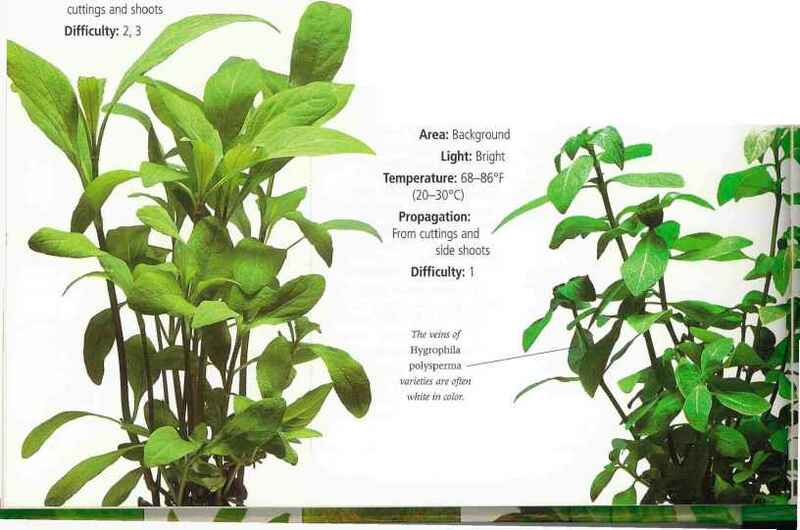 The leaves of this hygrophila are almost upright and will grow up to 10 in (25 cm) tall. They have an unusual tendency to bend, giving a mature plant a "goblet" shape. The plant is best placed on its own in the midground of a larger aquarium. Apart from a strong light requirement, it has no special needs and will adapt to most aquariums. 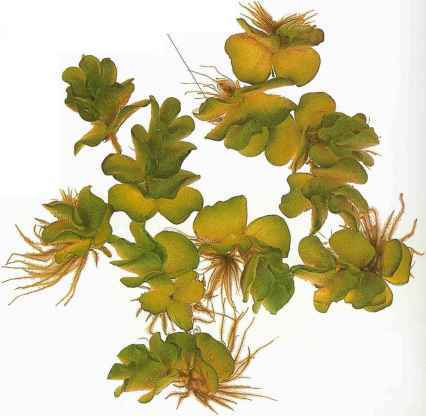 In an aquarium with good lighting, this plant - which is very similar in shape to H. corymbosa - will have an attractive, solid, and bushy appearance. It has a thick stalk and a pleasing green color. Plant it in groups of varying height for best effect. Thai stricta Is highly adaptable and tolerant of aquarium conditions.